Вартість: 5657 грн. + 979 грн. (доставка) + розтаможка 1329 грн. Lew's takes their Mach reel to a whole new level with the Mach Crush Speed Spool SLP Casting Reel. 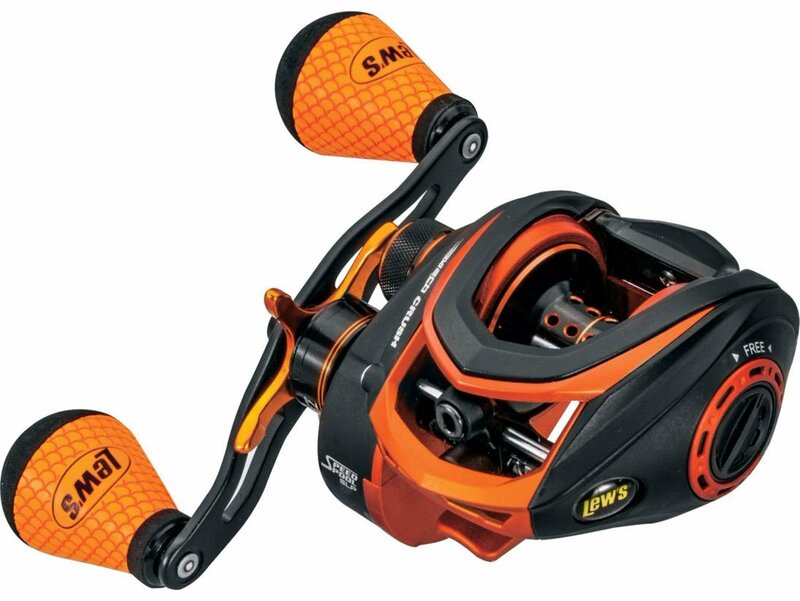 This reel features nine double-shielded stainless steel ball bearings that deliver a silky-smooth retrieve and a zero-reverse one-way clutch bearing. Strong graphite frame and sideplates keep weight to a minimum. Machined and double-anodized-aluminum U-shaped 32mm spool rolls with ease. Heavy-duty carbon-fiber drag system delivers 20 lbs. of drag to slow hard-charging fish. Externally adjustable Multi-Setting Brake dual cast control system features an external click dial for setting the magnetic brake and four individually dis-engageable disc-mounted internal brake shoes that operate by centrifugal force. High-strength solid brass main gear and crank shaft add strength and reliable performance. Other highlights include a double-anodized-aluminum spool tension adjustment with audible click, anodized bowed aluminum 95mm handle with oversized Winn® Dri-Tac knobs, anodized-aluminum bowed star drag with audible click, quick-release sideplate lock lever, zirconia line guide and an easy-to-access external lube port.